It's been almost a week since the Philadelphia train derailment and people the question remains - would postive train control prevented the incident? What is potive train control? The Federal Railorad Administation (FRA) defines it as: "Positive Train Control (PTC) systems are integrated command, control, communications, and information systems for controlling train movements with safety, security, precision, and efficiency." Its deployment is mandated in the Rail Safety Improvement Act of 2008 by December 31, 2105. There is still a ways to go. PTC is an unprecedented technical and operational challenge. Since enactment of RSIA, railroads have devoted enormous human and financial resources to develop a fully functioning PTC system over the 60,000 miles that are subject to the PTC mandate. Progress to date has been substantial. Railroads have retained more than 2,400 signal system personnel to implement PTC and has already spent $5 billion on PTC development and deployment. Railroads expect to spend more than $9 billion before development and installation is complete. A GAO report from 2013 outlines a number of challenges facing OTC roll out, echoing AAR's concerns about the complexity of the system and the timeline not being feasible. The week before the Philadelphia derailment, the FRA also issued a research brief about PTC across shared networks that could be used by multiple railroads. For more research about PTC you should go check out TRID. Last night Amtrak Northeast Regional Train 188 frp, Washington to New York derailed in Philadelphia killing 7 and injuring more than 200 passengers and crew. The cause of the derailment is not yet known but the data recorders have been recovered and are currently being analyzed. This has been one of the biggest passenger rail crashes in recent times and investigators are looking at a number of factors. It should be noted that while rail fatalities have climbed in recent years, derailments are rare. You can find more rail safety data here. Vice President Joe Biden, one of Amtrak's Northeast Regional's biggest proponents gave an emotional reaction. 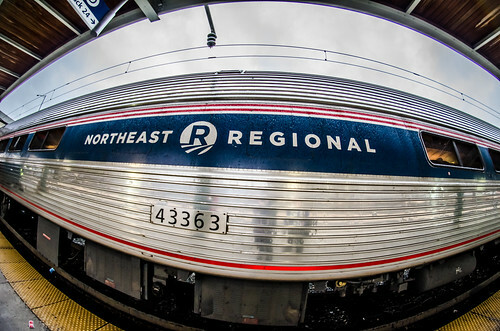 Today Congress rejected a funding increase proposal to Amtrak to make capital improvements. 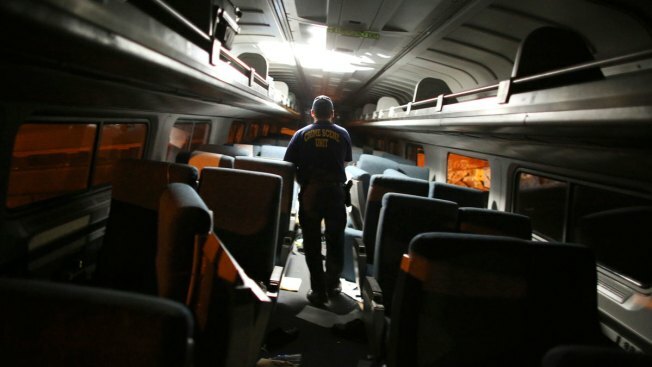 The last time Congress passed an Amtrak bill, it was after another fatal train crash - the 2008 Los Angeles Metrolink crash. This week was also dubbed "Infrastructure Week" by USDOT Secretary Anthony Foxx as he's been campaigning for increased investment in our nation's infrastructure needs. (For a take on the current state of the US's infrastructure needs, check out Last Week Tonight with John Oliver (NSFW)). Safety in Numbers? Peter Jacobsen talks about bicycle and pedestrian safety. Last Friday transportation consultant Peter Jacobsen was the featured speaker of the ITS Berkeley Transportation Seminar. He discussed his reseasrch in bicycle and pedestrian safety captured in his seminal paper, "Safety in Numbers" (Injury Prevention, v.9 no. 3, 2013). One of the questions he raised was how to define safety. Is it reflected in the data (number of incidents) or behavior (which is difficult to tease from that data)? Jacobsen remarked that, "No one swims in shark infested waters." So when people think it is safer to ride their bicycle or walk, they will be more likely to do so - this is the crux of the safety in numbers thesis. Jacobsen's anaylsis showed that if cycling and walking increase by 300%, the individual's risk only increases 50%. This is also why Jacobsen's anlysis shows that cyclists in Upland, CA have 8-times greater risk than cyclists here in Berkeley. He then suggested there needs to be more research into whether or not more bicycles increase safety for pedestrians and vice versa. Jacobsen also made an interesting observation that increased pedestrian safety is not tied to behvaior. 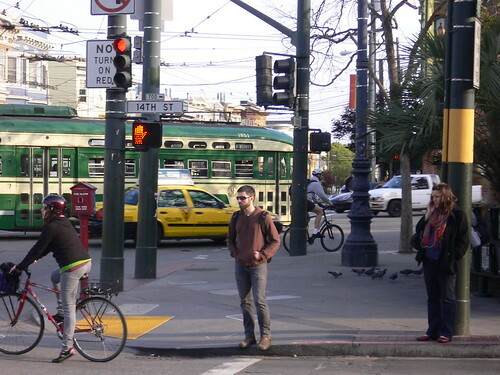 He related an anecdote about pedestrians in Sacramento who are very alert because they don't expect cars to yield to them, while pedestrians in Berkeley are often more distracted (with their heads in their phones) because they know cars will yield. Their comfort with the situation is reflected in their behavior. Jacobsen also used the iconic crosswalk of Abbey Road as an example of the evolution of street markings for safety. Watch the live stream now to see it in action - flashing crossing lights, zig-zag lane markers, and more to make it safe for crossing. He also discussed other papers that had interestesting observations about bicycle/pedestrian safety. One, "For heaven’s sake follow the rules: pedestrians’ behavior in an ultra-orthodox and a non-orthodox city," by Rosenbloom, Nemrodov, and Barkan compares pedestrian compares pedestrian behavior in an ultra-orthodox Israeli city to that in a quite secular city. The other is "Evidence on Why Bike-Friendly Cities Are Safer for All Road Users" by Marshall and Garrick, which investigates if bicycles improve traffic safety for all modes. Traveling this Winter? We are. Library closed 12/23-1/19. If you are one of the 5.4 million travelers who are flying this week, it's a good idea to rfresh your memory with current TSA guidelines and recommnedations. There will be some changes ahead for the TSA after this Holiday crunch as Transportation Secuirty Administrator John Pistole steps down at the end of December after 4 1/2 years in charge. Pistole leave a legacy safe skies and socken feet. A recent GAO report recommends that the TSA should take additional steps to determine its program effectiveness. 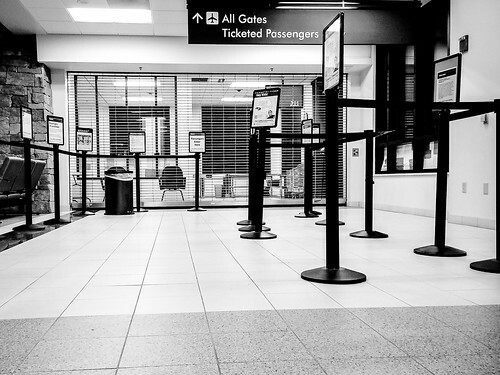 Will 2015 be a year of change in airport security? Stay tuned. Tomorrow is Independence Day here in the United States, whi means the library (and the whole UC Berkeley campus) will be closed in observance of the Federal holiday. 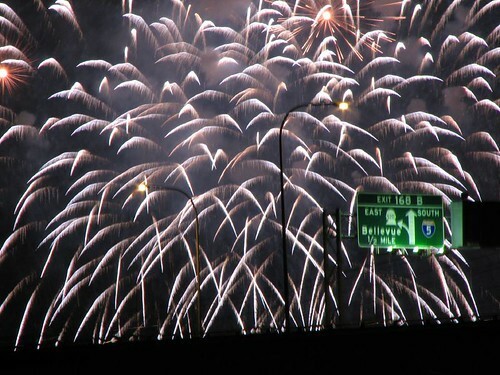 It also means holiday traffic as people head out of town for a long weekend, outdoor recreation, or to fireworks displays. Holiday weekends tend to see an over-representation of fatal and injury crashes on the roadways, largely due increased drunk driving. Increased impaired-driving enforcement has helped reduce crash fatalities in the United States. Checkpoints could be even more effective with location optimization modeling. So have a festive and safe weekend. Don't drive impared. We'll see you next week! Earlier this year FHWA issued a new research report as part of their ongoing research on pedestrian and bicycle safety. In Human Factors Assessment of Pedestrian Roadway Crossing Behavior, researchers collected data and used it to create a predictive model of pedestrian behavior. 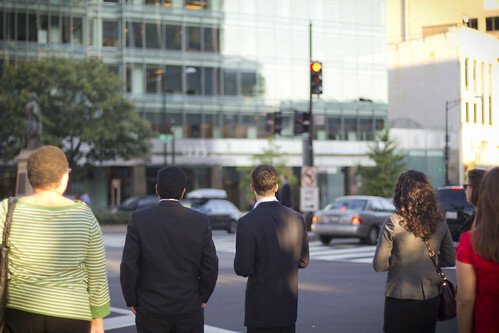 More than half of pedestrian fatalities occur at unmarked locations away from intersections. However, little research has been conducted to understand why pedestrians cross roadways at unmarked locations. As a result, this study sought to better understand the environmental influences on both where and when pedestrians elect to cross the road. This report examines more than 70,000 pedestrian crossings at 20 different locations. The circumstances of those crossings (pedestrians yielding to vehicles, vehicles yielding to pedestrians, and evasive actions) were documented and analyzed. 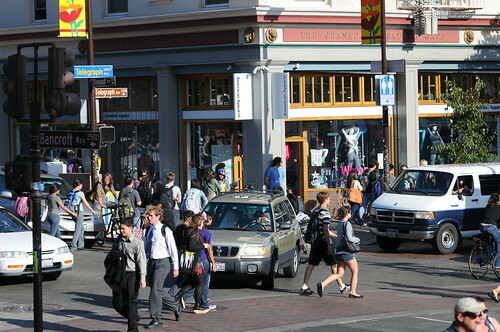 A model using environmental factors as inputs is provided to predict where (marked crosswalk intersection or outside the marked crosswalk) pedestrians will cross the road. Tomorrow's ITS Friday Seminar is Dr. Shashi Nambisan, a professor at the University of Tennessee, presenting, "Some Approaches to Enhance Road Safety: Beyond Engineering Based Strategies"
Road safety is a significant concern to a broad range of stakeholders. Various approaches and strategies have been used to enhance road safety across the world. In this regard, the 4 Es used to characterize safety initiatives are Engineering, Education, Enforcement, and Emergency medicine. The developed nations have adopted a more comprehensive approach to incorporate the 4 Es, while the less developed nations focus primarily on engineering initiatives. The seminar will highlight some of the strategies adopted in Las Vegas, Nevada and across Iowa in the United States. These will be complemented with comments about challenges involved in improving overall road safety in Kerala, India. Further, examples of effective non-engineering based strategies will be presented. The seminar will also touch upon lessons learned from these experiences, and key considerations that are important for sustainable success of campaigns to enhance road safety. The seminar will take place Friday, February 28, 2014 in 534 Davis from 4-5 PM. TRANSOC Cookie Hour will be in the library at 3:30. Tomorrow is Friday, which means there's another TRANSOC Friday Seminar taking place. This week features Professor Moshen A. Jafari of Rutgers University. He will present, "Innovations in Traffic Safety Research". Traffic crashes and accidents at intersections, roundabouts and roadway segments result from many complex factors, but at a basic level, they are outcomes of the interactions among vehicles and other road users. Since few direct measurements of these interactions are available, engineers and planners instead attempt to understand them by studying crashes and accidents reports. As crashes account for a tiny fraction of safety conflicts, these reports fail to provide a full understanding of what is happening at the points of accidents. This is especially true of crashes involving pedestrians and bicycles, for which data are sparse, making it difficult to determine reliable patterns. In this talk we will present risk based traffic safety models using multiple data streams, including near miss data, systemic data, historical traffic accidents, and drivers’ naturalistic behavior data. We will also briefly discuss ongoing research at Rutgers on the development of Plan4Saefty software, which is currently being used by the State of New Jersey for traffic safety analysis and planning. The seminar will be held Friday, February 7 2014 from 4:00-5:00 PM in 534 Davis Hall. Cookie Hour commences at 3:30 here in the library. Yesterday USDOT and NHTSA announced plans to move forward with vehicle-to-vehicle communications technology (V2). The Connected Vehicles program will eventually push research into production, establishing protocols and standards for manufacturers. Right now the aim is for 2017, so it's not going to happen overnight. Connected vehicles should increase road safety despite some security concerns. Malware for you car? The ITS-JPO has already held a public workshop to address different network security angles. Much of the research on V2 or Connected vehicles can be found in TRID. The Technological Innovations section highlights advanced technology across the board, but for just vehicles use "vehicle to vehicle communications" or "vehicle to roadside communications".